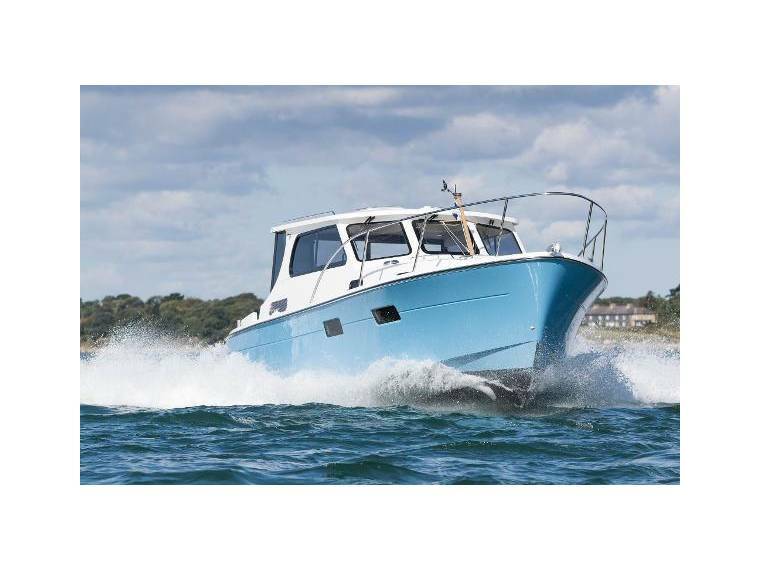 Conceived with the most discerning of boat owners in mind, this Jersey 36 Classic is a new boat built to a specification to be agreed between the builder and the owner. The quoted price is for a standard single engined version and covers all inventory under the 'Included' headings. 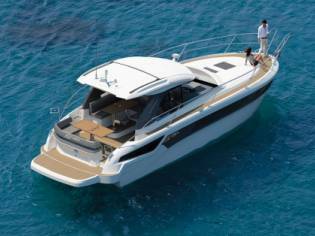 All other options and engine upgrades are available as extras to create a personalised vessel. For a full price list please get in touch. 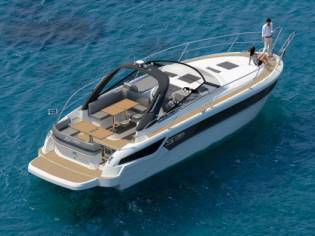 The Jersey 36 Classic gives you the same high-performance hull, power options and quality finish as the Elanco model with a set of high quality interior mouldings that are designed to optimise the space available and finished with attractive hardwood trim. 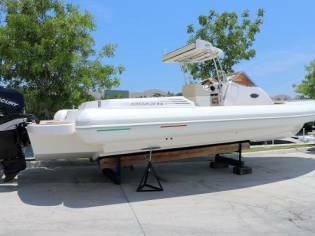 The Classic is perfect for those who are looking for a high quality boat but do not require the tailored fit-out that comes with the Elanco model. The Jersey 36 Classic has generous amount of space. Bi-fold doors between the cockpit and wheelhouse create a large, social space and the twin cabin arrangement provides good accommodation down below. 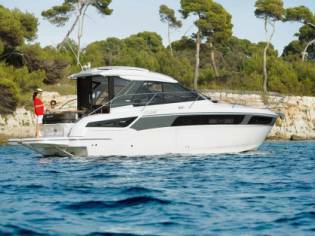 The Jersey 36 comes with either twin or single engines with a range of power options. 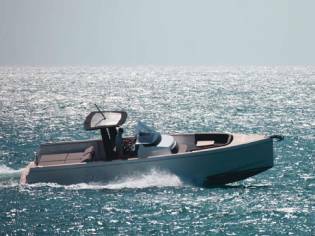 The standard specification includes many features that you might expect to be options and whilst the majority of the internal structure is formed with GRP, timber flooring, trim, locker doors, and table give the boat a warm, traditional feel. 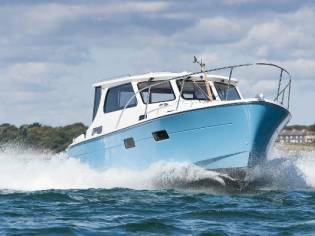 Engines are shaft driven and can be supplimented with hybrid options to improve efficiency running in inland waterways and reduce excessive wear on main engines caused by prolonged running at low revs. The electric option is charged by a fully insulated generator mounted under the cockpit platform.